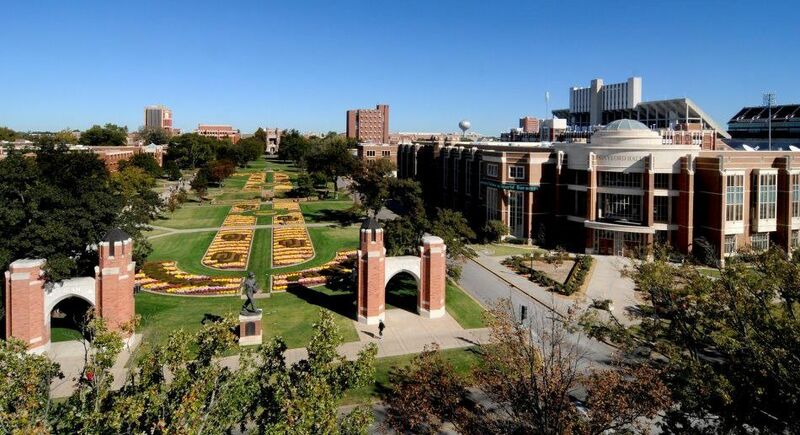 Founded in 1890, the University of Oklahoma is a public research university located in Norman. Carnegie Foundation classifies it as a research university with "very high research activity. 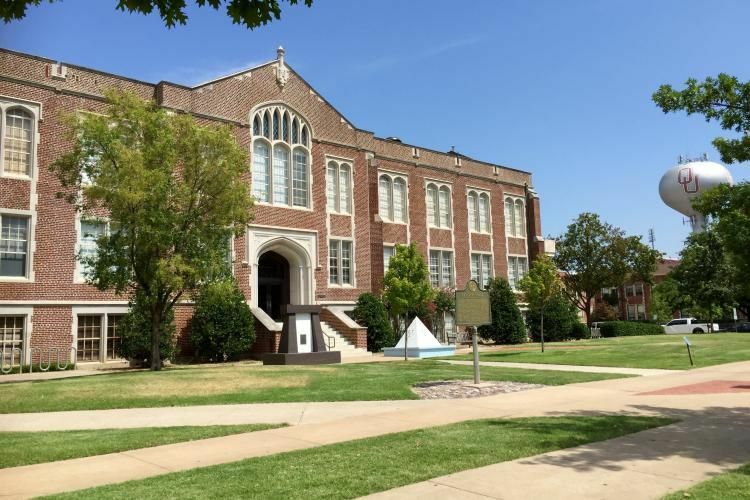 The Norman campus has two prominent museums, the Fred Jones Jr. Museum of Art, specializing in French Impressionism and Native American artwork, and the Sam Noble Oklahoma Museum of Natural History, specializing in the natural history of Oklahoma. US News & World Report ranks OU in the top 50 (No. 41) in the "Top Public Schools - National Universities" category. The university offers 155 majors across 15 schools and colleges: College Of Architecture, College Of Arts And Sciences, College Of Atmospheric & Geographic Sciences, Michael F. Price College Of Business, Mewbourne College Of Earth And Energy, Jeannine Rainbolt College Of Education, Gallogly College Of Engineering, Weitzenhoffer Family College, College Of Fine Arts, Graduate College, Gaylord College Of Journalism And Mass Communication, College Of Law, Honors College, Reserve Officers Training Corps, College Of International Studies, University Outreach College Of Continuing Education, College Of Liberal Studies, College Of Allied Health, College Of Dentistry, College Of Medicine, Fran And Earl Ziegler College Of Nursing, College Of Pharmacy, Graduate College and College Of Public Health. The most popular majors at University of Oklahoma include: Business, Management, Marketing, and Related Support Services; Engineering; Health Professions and Related Programs; Communication, Journalism, and Related Programs; and Liberal Arts and Sciences, General Studies and Humanities. 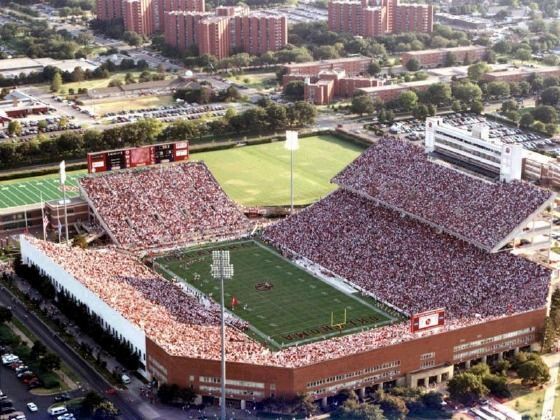 The total student population at the University of Oklahoma is more than 26,200 of which over 19,900 are enrolled at the undergraduate level. The student to faculty ratio at the university is 18:1 and the acceptance rate is 78%. 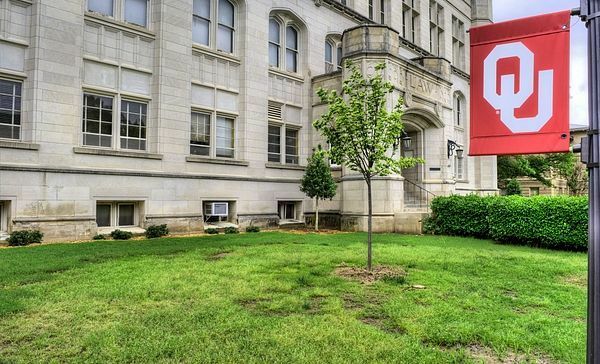 The university is ranked first among public universities in enrollment of National Merit Scholars and among the top ten in the graduation of Rhodes Scholars. The university has a generous financial aid programs as 87% of its students are receive one or the other form of financial assistance. The Accelerated Bachelor of Science in Nursing (ABSN) program is tailored for individuals who want to pursue a career in nursing and already have a bachelor s or higher degree in a non-nursing major. The nursing curriculum is 60 credit hours of courses incorporating theoretical and clinical content and designed to be completed in 14 months of concentrated study. Graduates from this program receive a BSN degree and are eligible to sit for the state examination for licensure as a registered nurse. For additional information about this program, please contact nursing@ouhsc.edu. Students have opportunities to pursue their education and training beyond the classroom environment. In the last six years, the School of Computer Science had more than $2 million in expenditures for externally funded projects, much of which supports student assistant stipends. These projects range in scope from software design and implementation of production systems to research on next-generation computer systems. The Division of Architecture at the University of Oklahoma is committed to educating students of diverse backgrounds and interests through graduate level studies in architecture. Focused on advancing architecture and society through education, scholarship, and service, the graduate degree programs provide a creative and challenging forum through which students engage environmental and social issues actively shaping the profession of architecture. Our graduates are known for their exceptional design abilities as well as their critical problem solving and leadership skills. Established on a core foundation of ethics and sustainability, our graduate programs enable and equip students to deal with complex real world issues that go beyond the realm of design. The Division of Architecture offers a 5-year Bachelor of Architecture degree that is accredited by the National Architectural Accrediting Board (NAAB) and fulfills the educational prerequisites for professional registration required by most state boards.Our design pedagogy is founded on a philosophy of Creating-Making which is grounded in experience; a tangible connection between the creative endeavor and the physical act of making. As such, we are committed to maintaining a foundation in the material practices of design, in promoting intellectual engagement with creative processes, in providing both alternative cultural and professional work experiences, and in fostering intra-disciplinary and inter-disciplinary opportunities for collaboration. The Bachelor of Arts/Master of Arts in International Studies is an accelerated program designed for exceptional students to earn both the BA and MA in International Studies in 5 years of study. National Merit Scholars are the ideal candidates for a 5-year accelerated BA/MA program, although the program is open to all OU students who qualify. The annual cost of living at the University of Oklahoma is USD 12,100 approx.